Gasland Solar Mystery – Where’s the Array? 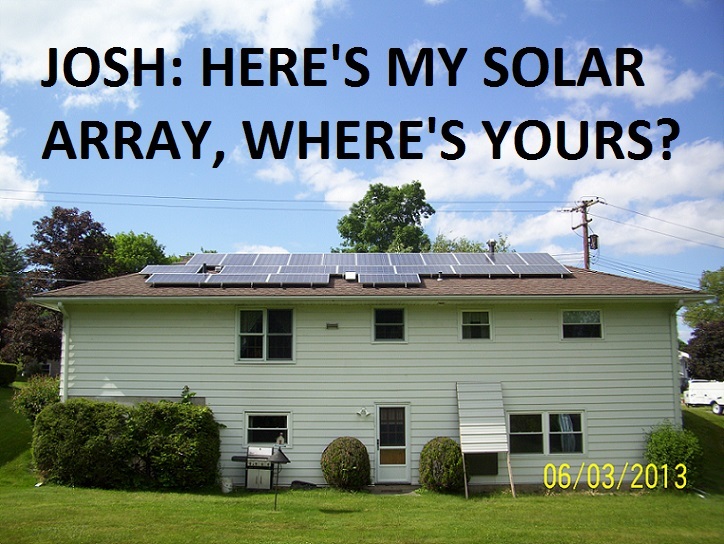 Josh Fox uses Gasland Part II to push renewable energy, but fails to take advantage of his home’s southern roof exposure for a solar array that would heat his water and his home, demonstrating the double-standard so typical of the natural gas opposition. I attended a premier showing of Gasland Part II at the West Middle School in Binghamton, New York, on June 5 to see what Josh Fox had concocted this time around. 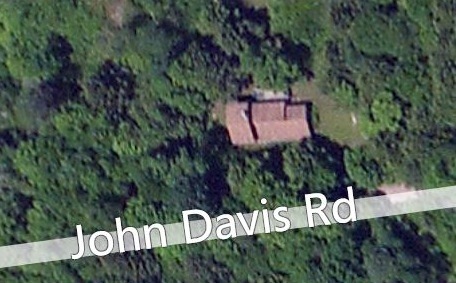 At the beginning of the movie, he shows a low altitude view of the top of his home (actually his father’s home) and surrounding lawn in Milanville, Pennsylvania and towards the end of the movie he does it again. It is an interesting shot apparently intended to reinforce the idea he’s just a good old Pennsylvania boy, although Fox actually grew up in Manhattan. What was interesting to me, however, is what I didn’t see. Towards the latter part of the movie, Fox has a “professor” from Stanford University make the absurd claim that we could supply all of our energy needs (electricity AND heat…LOL!) with wind, hydro, and solar. He then makes mention of climate change and again alludes to wind, solar, and hydro being able satisfy our needs, stating that fossil fuel use should be eliminated. This suggested to me Fox would maximize his own use of renewables, putting a solar array on that southern facing roof his father’s house has. Here’s what it looks like on Bing Maps. Just like the shot in the movie, it shows no solar array. Upon the conclusion of the movie, Fox’s disciples gave him a standing ovation and he stated that anyone who had any questions could come down to the foot of the auditorium stage where there were two microphones, which I did, because I was curious why he didn’t have a solar array. I know something about this subject because, in 2008, I had a 5,000 watt photovoltaic solar array mounted on my roof by a local renewable energy company who also does wind turbines. Anyway, I went up to the mic and told Mr. Fox that his movie was interesting and then brought to his attention and his 300+ blind followers in attendance that his home was not only missing a solar array on the roof, but that there was also none to be seen on the ground either. You could hear a pin drop in the auditorium at this point. I then turned to the audience while still at the mic and asked how many in the room had an array on their roofs. Seven people including myself raised our hands. Fox and a couple of his employees were beside themselves, to say the least, making an attempt to stop me from speaking, at which point, I talked louder yet. 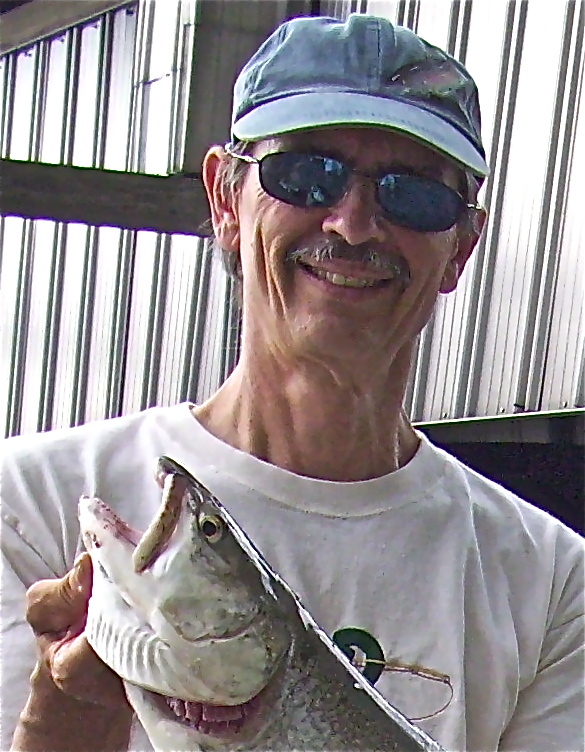 After deciding I had done sufficient damage to this hypocrite’s credibility and judging, by the looks on many people’s faces, that a few at least were starting to wonder why he did not practice what he preach, I decided enough was enough and headed toward the door. As I was halfway up the aisle, getting ready to leave the place, I turned around and one last time loudly recommended to Fox that he put a solar array on his roof. It was a wasted effort, of course, as far as he’s concerned. He works out of a natural gas heated building, after all, so Gasland Part II only served to confirm the sort of hustler and chameleon the man is. Still, letting his supporters see this side of him was important. I believe in renewables and put my money where my mouth is. Great story. Fox is the nr2 fraud in this country only topped by nr1 Al Gore and his CO2 hoax.